When it comes to something as important as your business, knowing how much is too much, or too little can be a game changer. Our insurance agents want to make sure that your auto insurance policy fits your exact needs. We can provide an insurance policy that actually protects your car. R. David Bulen Insurance Agency will help you retain better employees, by setting you up with an affordable and attractive group health package. Financial Services Include : 401k , Pension Plans, and Retirement Planning. Get an Instant Quote Now! Paying too much for your Insurance? Not sure? Contact us to compare. It’s fast, easy and best of all there is no cost to you! Experienced and licensed staff working for you to provide the best company, coverage and price available. You will always have a service team assigned to you. At each renewal we will quote your current policy to make sure you are still receiving the best coverage and price. Multiple policy discounts available. 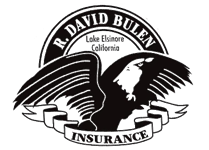 R. David Bulen Insurance is a professional team of caring individuals committed to providing superior products and service to our valued growing customer base. "Just wanted to let you know how pleased I am to have your agency and Greg Pollock, my agent, provided my family with our homeowner’s and auto insurance. We have just recently been robbed and lost most of our valuable possessions (computer with family pictures, wedding rings, watches and other items of value). Not only has Greg been very helpful in dealing with the loss, but also the insurance company that he placed us with has been very easy to deal with and also very informative. They have been able to walk through the loss process with us and make sure that all our needs have been taken care of." "I’m writing this email to thank you for all your hard work in getting me the right insurance for my family and employees needs, but also for making this whole process so painless. I was fairly surprised an insurance process could be as simple as everyone at R. David Bulen Agency makes it. They can tell what is best just from evaluating numbers and that is very comforting. When it comes to something as important as insurance, I would only trust my policies in the hands of the agents at R. David Bulen. This is truly the best Insurance Service I have ever had. Its like having an 'easy button'."